A visit to the Botanic Garden is like travelling around the planet earth without setting foot outside of the city. The plant collections which occupy every corner of the Garden take us on a journey to distinct latitudes and regions of the world, thus transforming the Garden into a live museum. Botanic gardens developed in Europe largely as a result of 15th century maritime expansion, as in coming into contact with exotic plants and animals the Europeans became interested in the study hereof. 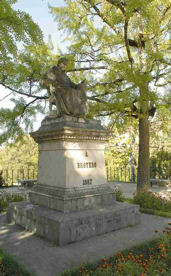 Garcia da Orta, for example, throughout his journeys to India, dedicated himself to the study of medicinal plants and published two relevant essays. The 18th century featured a revolution of minds and significant scientific progress, particularly in the field of Medicine. 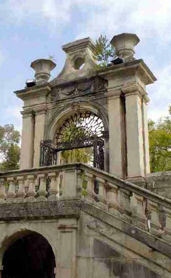 Coimbra Botanic Garden, therefore, developed in view of complementing Natural History and Medicinal Studies. Naturalists and botanists produced several scientific publications, namely Flora Lusitana by Avelar Brotero (1804) on Portuguese flora. This Portuguese researcher founded the first practical school for Botanical Studies. The seeds bank and associated seeds catalogue (Index Seminum), published in 1868 and updated annually up until today, include several Portuguese and exotic varieties, whereby we have managed to preserve several endangered species. In this way the Garden has played an innovative role in nature conservation. In educational terms, Coimbra Botanic Garden promotes environmental and cultural programmes, by raising the awareness of environmental issues and promoting civic behaviour. The Garden provides a peaceful and inviting atmosphere, filled with secrete corners ready to be discovered. *We are working on a more complete version of the website in English. Our apologies. Enjoy your visit to the Garden.